A rendering of the proposed office building viewed from the southwest. Yet another new building proposed for downtown Overland Park will be making its way through the city’s planning commission in the coming months. 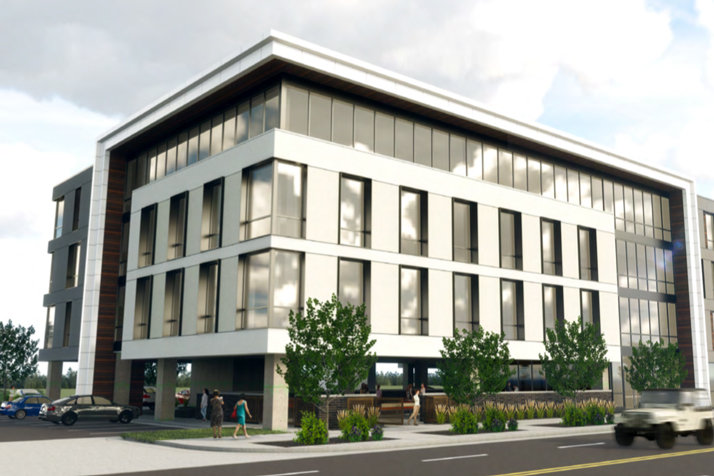 EPC Real Estate, which is behind the Avenue 80 and Avenue 81 projects along Metcalf, last week submitted plans for a new, four-story office building for the northeast corner of 82nd Street and Metcalf Avenue. 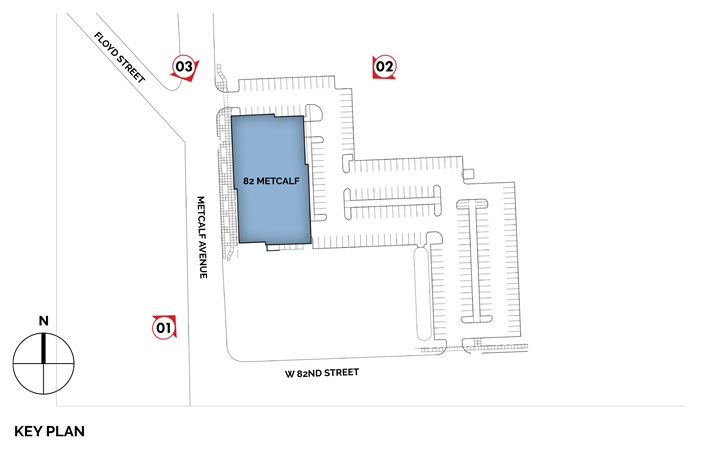 The development area does not include the site of the former Mac’s 66 Service Station, which closed in 2017. As currently scheduled, the development plan will first go before the Overland Park Planning Commission at its March 12 meeting. 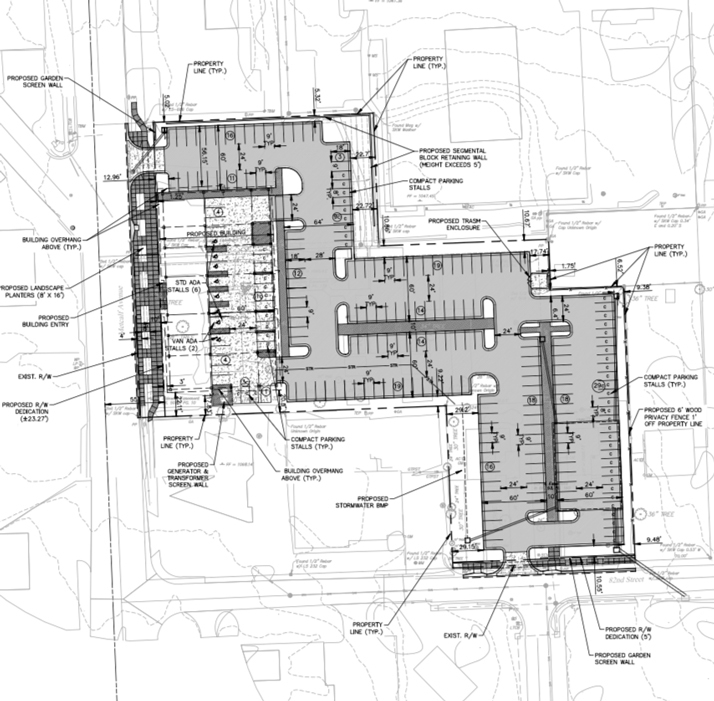 The proposed building would have 58,500 square feet of office space. EPC is also the company behind the Mission Trails mixed-use development that will break ground on Johnson Drive in Mission this year. 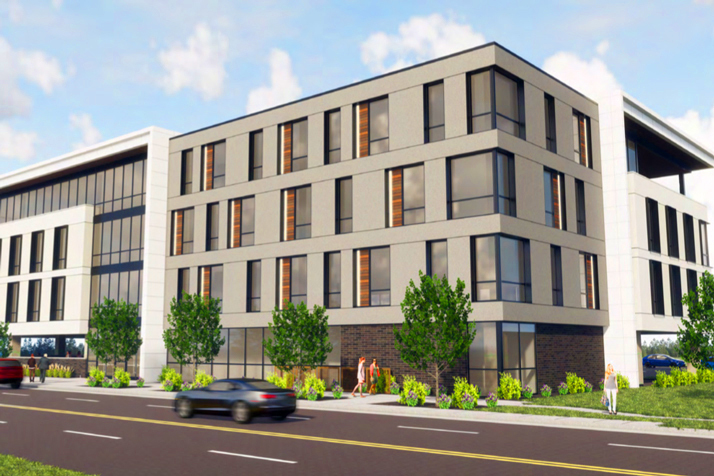 A rendering of the proposed office building at 82nd and Metcalf.